By merging layers, layer paths, vector masks, linked layers, or adjustment layers, you can combine several layers into one and keep your file size manageable. Typically, you want to be sure that you've finalized the characteristics and position of the layer contents before you merge the layers, so make sure that you're satisfied with the appearance of the flag and the date text before starting this procedure. 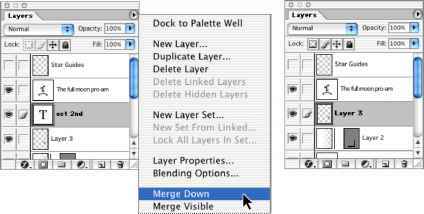 1 With the "oct 2nd" layer selected, open the Layers palette menu and choose Merge Down. The "oct 2nd" layer and polygon shape layer are now merged into a single layer, Layer 3. From now on, you can no longer use the type tool to edit the "oct 2nd" graphic. 2 With Layer 3 selected, choose Edit > Transform > Distort. 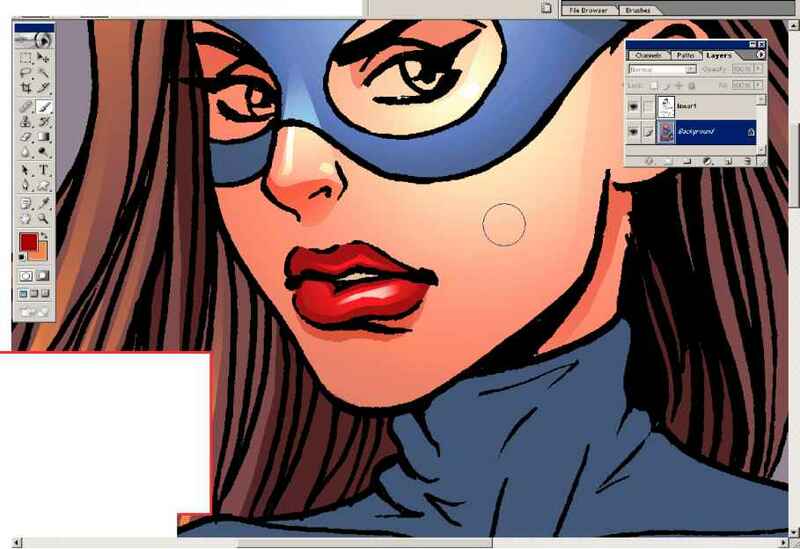 To create the illusion of foreshortening, drag the center right handle to the left until the flag is about 1 inch wide. 3 Drag the upper right handle slightly down and the lower right handle slightly up to further enhance the effect of a perspective view. 4 Press Enter (Windows) or Return (Mac OS) to apply the transformation. 5 Select the move tool (v), and drag the flag shape into position near the top of the stretched letter L in "invitational."